At Robert B. Payne, Inc., we can help you at every step of the way in installing your unit heater and keeping it running smoothly for many years to come. We work with all types of oil, propane and natural gas fired heaters. These devices can be used in both indoor and outdoor environments to bring a space to a comfortable temperature. The smaller varieties can be easily mounted on walls and ceilings, and they are often used in combination with other systems. 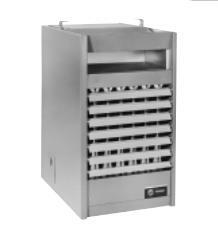 Unlike central heating systems, a network of ducts is usually not necessary with these heaters. 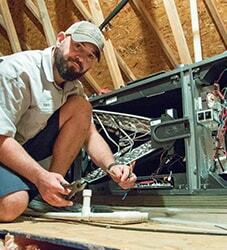 Undergoing the proper maintenance procedures when it comes to your unit heater is important – if you want your device to continue to run smoothly, maintenance is everything. Call a professional when needed! 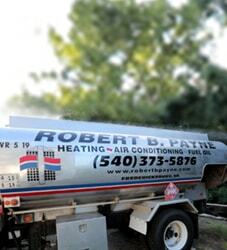 If you need assistance with your unit heater, contact Robert B. Payne, Inc today! If you’re experiencing issues with your unit heater, there could be a variety of reasons why: your exhaust fan could be malfunctioning, power may not be applied to the unit, the gas valve may not be on, or the unit could even be wired incorrectly. Regardless of what’s happening, there’s one thing we know for sure: in the event that your unit heater isn’t functioning correctly, it’s best to call in the professionals! 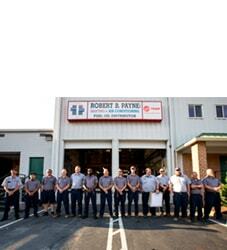 This is where Robert B. Payne, Inc comes in – our team of unit heater maintenance & repair experts can provide you with the fast, efficient services you deserve. One of the best advantages of this type of heating system is that it’s extremely simple to install and repair. Often, these heaters can be attached to a wall or a ceiling so that they take up little or no floor space at all. The sizes of these devices are highly variable and homeowners and businesses can choose from an almost infinite set of options to find something that works best with the particular room being heated. When Are Unit Heaters a Good Choice? The best places to use a unit heater are those with high ceilings that allow heated air to spread throughout a space. Large volume areas are heated quite efficiently with these relatively small, easy-to-install devices. If a space is well insulated, high efficiency unit heaters are often the best choice. We will be happy to take a look at your indoor environment to determine whether these devices would work well for you. We feature a number of high-efficiency and reliable devices, such as forced-air wall heaters, that can thoroughly heat a space without taking up much space themselves. In addition, these appliances work quietly and are styled to look good in any indoor environment. You can choose from our numerous options, ranging from small electric heaters to large duct furnaces meant for both indoor and outdoor environments. We’ll help you choose the option that will work best for your particular space. Contact us online or call (540) 373-5876 to learn more.